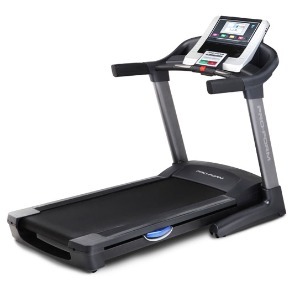 The ProForm Trailrunner 2.0 treadmill is a first rate runner’s machine that features a big motor, terrain workouts, a large running area, and advanced cushioning. At the right price, it’s a solid machine that offers good value. Along with a selection of challenging programs, the console features a 7" full-color Touch Screen display allowing you to navigate quickly through stats and options. The ProForm Trailrunner 2.0 treadmill has 30 pre-set programs including 20 calorie-burn and 10 all-terrain workouts, plus a Set-a-Goal Workout Center where you pick the speed, time, or distance goal and treadmill custom designs a workout for you. UPDATE: The ProForm Trailrunner 2.0 has been discontinued. Check out the new ProForm lineup here to find a comparable machine. The iFit® Live is a wireless technology that lets you download additional programming, including those designed by celebrity trainer Jillian Michaels, right to your treadmill from the internet. The iFit programs also work with Google Maps™ so you can run on virtual trails from all over the world to expand your workout entertainment. The system requires a wireless adapter. 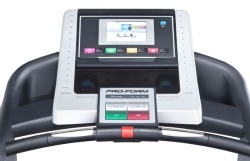 The ProFrom Trailrunner 2.0 treadmill is designed to be a runner’s machine. It features a powerful 3.5 CHP Mach Z™ commercial pro motor, large rollers, a 20" x 60" 2-ply commercial tread belt, a workout fan, and ProForm’s latest technology in an acoustics sound system and mp3 plug-in port. Other features include the ProTech™ Advanced Cushioning that protects your joints up to 33% more than if you were street running on hard pavement. It is an adjustable system with virtually limitless cushion settings. Reviews have been critical of ProForm treadmills over the past few years, but much is forgiven thanks to the new Trailrunner Series and the Power Series. The ProForm Trailrunner 2.0 rates well in all areas such as warranty, quality, noise, power, cushioning, running area, reliability – just everything. It doesn’t have any glaring weaknesses other than perhaps ProForm’s odd marketing schemes. Be aware that while the Trailrunner 2.0 has an MSRP of $2,499, it has been sale priced for as low as $1,399. 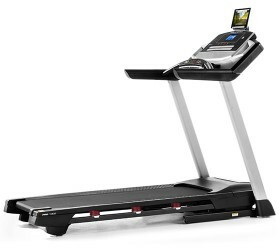 The ProForm Trailrunner 2.0 treadmill is one of ProForm’s best designed machines – and the deal is even better if you don’t pay full price for it.